Irina Reyn’s new novel Mother Country will be published by St. Martin’s Press in February 2019. Her second novel The Imperial Wife was published by Thomas Dunne/St. Martin’s Press in the summer of 2016. That novel was chosen by the Spertus Institute as a One Book/One Community read. It was featured in O. Magazine, Real Simple, Cosmopolitan and other publications. You can listen to an interview with Irina on NPR’s Weekend Edition here. Irina’s work has appeared in some of the following publications: One Story, Post Road, Tin House, Los Angeles Times, Town & Country Travel, Poets & Writers, The Forward, San Francisco Chronicle, The Moscow Times. She reviews literary fiction and nonfiction for national publications. Please see a sample of her work on the Book Criticism and Other Prose pages. Her fiction and personal essays can be found in anthologies, including Not Like I’m Jealous or Anything: The Jealousy Book (Delacorte), Becoming American: Personal Essays by First Generation Immigrant Women (Hyperion) and A Stranger Among Us: Stories of Cross-Cultural Collicsion and Connection (OV Books). 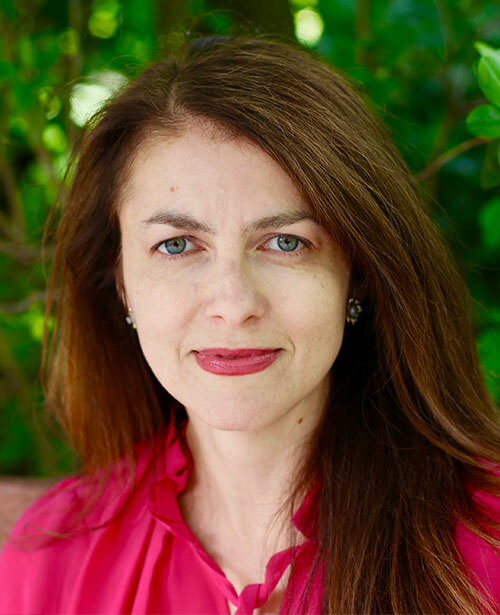 Irina has been awarded fellowships at the Sewanee Writers Conference, Wesleyan Writers Conference, and at the Rose O’Neill Literary House at Washington College. She has been awarded residencies at Hedgebrook and Ledig House. Irina was born in Moscow, and currently divides her time between Pittsburgh and Brooklyn. She is Associate Professor of English at the University of Pittsburgh.